Northeastern University Guide to Writing a Business Plan- A comprehensive series of links for building every part of your business plan. Building Native Industry Institute Online Learning Center- Online training for artisans, construction, retail and traditional foods with focus on starting a business, growing a business, business management, finance and marketing. Requires registration. Business Planning Tools- Largest repository of info on creating a business plan, the first step of any small business. Their sample plans are a great starting point. Free Business Tools- For both offline & online businesses; offers useful tools for various phases of running and growing a small business. Native America Business Primer- Native American Small Business Primer: Strategies for Success - online course: emphasizes business planning and market research as essential steps to take before going into business; informs Native American entrepreneurs about the legal aspects of starting a business, including the type of ownership (legal structure) and licensing; and provides key information on seed money for starting up, raising capital, and borrowing money. In addition, there is a section on how to estimate business start-up costs that can help assess the financial needs of going into business. Minnesota Department of Employment and Economic Development- links to programs and services for starting a business. Money Smart - A Financial Education Program- Free Computer-Based Instruction (CBI) that is friendly and easy to use learning tool that teaches the 10 modules of the Money Smart curriculum through a computer. The CBI can complement formal classes or enable people to study independently at their own pace. Each module generally takes between 20-30 minutes to complete. Students receive ongoing feedback and, upon successful completion of each module, can print out a personalized certificate of completion. The CBI is available online or on CD-ROM. Native Learning Center- offers FREE courses and online training to Native and Indigenous people with an emphasis on the educational needs of tribal members and their communities. The National Center for American Indian Enterprise Development (NCAIED)- Dedicated to developing American Indian economic self-sufficiency through business ownership. SBA Smart Toolkit- The SBA Business Smart Toolkit is a ready-to-use workshop toolkit developed jointly by National Association for Government Guaranteed Lenders and SBA. The workshop lays the groundwork for helping new and aspiring entrepreneurs launch a business idea and understand the steps to building a business that is credit ready. Small Business Administration- links to programs and services to help you start, grow and succeed. Marketing Plans- Sample marketing plans for an array of industries. 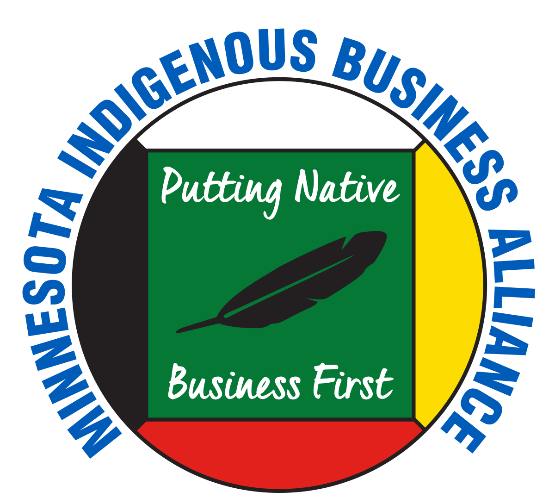 Minnesota Indian Business Alliance (MNIBA)- Supports Native American businesses, artisans, professionals, students, non-profits, foundations, tribal colleges, associations, and economic development through resources and partnerships. MNIBA also offers an online, comprehensive statewide Native Business Directory. TiE Minnesota- fosters and advances entrepreneurship across the globe. Its principle objective is to provide a platform on which people with entrepreneurial spirit and those interested in economic value creation can come together to share ideas. Entrepreneur Media- Offers a full range of products and services for entrepreneurs. Minority Business Entrepreneur Magazine- online magazine dedicated to the success of minority and women business owners. The Kauffman Foundation- Entrepreneurship research and policy. Glossary of Business Terms (PDF)- Glossary of commonly used business terms. NW Minnesota Foundation- NMF staff provides technical assistance and financing to individuals who want to start a business or persons wanting to expand an existing business. SBA Minnesota Funder's- The list attached below contains the names, addresses and phone numbers of lenders who have received approval to make SBA loans. The list is sorted by city to make it easier for you to find a local lender. The Minnesota Procurement Technical Assistance Center (PTAC)- Mission: To strengthen Minnesota's economy by stimulating job creation, growth, and business retention. To accomplish this goal, the PTAC assists businesses in securing government contracts. Diversity Information Resources- focuses on developing and supporting supplier diversity programs through printed publications, professional seminars and a superior online diverse supplier management portal. Since 1968, DIR has been advancing supplier diversity through comprehensive, flexible solutions, superior technology, personal service and proven expertise. Procurement Program Certifications (PDF) – a good fact/information sheet covering the different types of federal, state, local and corporate certifications for those interested in procurement programs and contracting. Small Business Development Centers- are located throughout Minnesota offering free counseling services, and training programs at a nominal cost. Seasoned consultants can analyze your business situation and help you develop your tools for growth: a good business plan, financial analysis, and marketing strategies. They also assist in identifying sources of financing and developing a financing proposal. The US Census Bureau- American Indian and Alaska Native (AI/AN) Data and Links page to view current 2010 materials and links. Doing Business With the Federal Government (PDF)- A guide to doing business with the federal government. Doing Business With the State of Minnesota (PDF)- A guide to doing business with the state of Minnesota. Bii Gii Wiin Community Development Loan Fund- Provides financial education, micro business planning and training and home ownership opportunities for American Indian entrepreneurs and artisans.